Dear friends, it has been far too long and I have been negligent of those of you who need honor no codex. Thus does this piece herald the triumphant return of Let's Be Friends! But how many friends do the Eldar need? Read on to find out. This is where things get awkward. 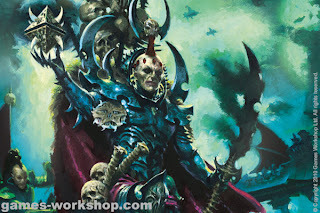 Most books up until this point have had few allies (Daemons and Dark Eldar), or their allies have been largely redundant (Marines of each flavor). Eldar on the other hand have access to a wide range of allies which, even if they are similar to one another, are clearly distinct from the primary army. The biggest problem here is that someone let Phil Kelly go a little crazy with his favorite army, and we've ended up with a bit of a "Wardian paradox". In this, I mean that the Eldar codex, both internally and externally, is spoiled for choice... pointlessly. The internal balance isn't something I'll dwell on, but needless to say, if major events results are anything to go by, the Eldar codex wants for little. It has varied troop choices, running the gamut from elite and durable, all the way to fairly cheap and disposable. It does lack the 4 and 5 point models we've come to see as truly disposable, but with the durability available to us for such a reasonable price (especially when considering the firepower that it provides), one would wonder why we would bother. Nevertheless, we'll look at which armies the Eldar will deign to befriend. As ever, our regular first consult is the Black Templar. And this isn't a terrible prospect. A crusader squad, with an attached chaplain, either on foot or in a LRC (with the appropriate volume of Neophytes) will run you somewhere between 400 and 600 points. Personally, I'm a fan of the LRC option, but on the whole, save consulting these guys for times where you want to mess someone up in CC without cracking your AV wall (assuming you brought a few grav tanks). Not great, but not terrible either, especially considering the 20 man squad can be a real bear to dislodge. Nothing says home like a clean chainsword! Moving along with the CC feeling, is the red marines. A few assault squads offer similar punch to the Templar, if at the cost of a price hike. That said, the jumping dudes keep pace with your grav tanks fairly well, and can let you play much more aggressively with them and their contents, knowing that it will be that much harder for a MC or enemy marine squad to mess you up. Onward are the other Angels, the Dark kind. Regrettably, forbidding a sorely needed language update (not unlike CSM), these guys are still primarily regulated to primary detachment only. Sorry Ryan Fisher! Not all is lost, given that power fields still get shared, and Rad Grenades turn your wave serpents into instant death spewing hate boats. Not the best option available, but worth considering if you find yourself in a sea of T4 multiwound dudes, or scores of T4 FnP guys. Oh boy, then there's the big one, Dark Eldar. I'm going to ignore the usual choice of "Baron + Hellion Troops + Warp Beast Pack" on the understanding that you've either seen it, or can piece together that the aforementioned selections make up the current metabomb "Seerstar" list. Assuming you want to consult your evil cousins, should you and why would you? Personally, Dark Eldar do have something to offer their more sane brethren in terms of Dark Lances. Got a problem with Super Tanks? Blasterborn and a Ravager can help up your lance saturation and chew through those big baddies. Likewise, don't be afraid to look into some venoms if you're having trouble getting the quantity of dakka to chew through large horde Daemons or Tyranids. Otherwise, these guys might be too flimsy to seriously consider as an ally. 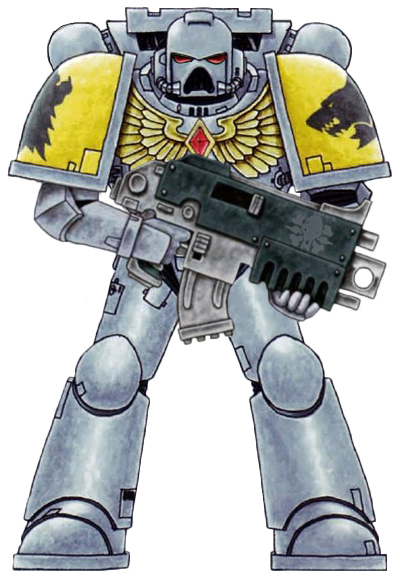 From there, we come to Grey Knights. Yes, they can offer some CC punch with their Terminators (Eldar seem to not really understand what a 2+ is), but on the whole, they lack any depth of points efficiency, forbidding that you bring Broteaz and his henchdudes. In these instances, it is appropriate to requisition a Dreadknight. The alternative, of course, is that if you don't like or don't need the Dreadknight, you could always bring an Inquisitorial detachment and leave your allies free for other toys. It's worth considering. Ah the Guard Astra Militarum. All the fun of cheap and disposable troops, with the added joy of tanks durable enough to force some really horrible target priority on your opponent. This becomes potentially dicey as we look at the new codex in another week or two, but I wouldn't predict any serious changes forthcoming. 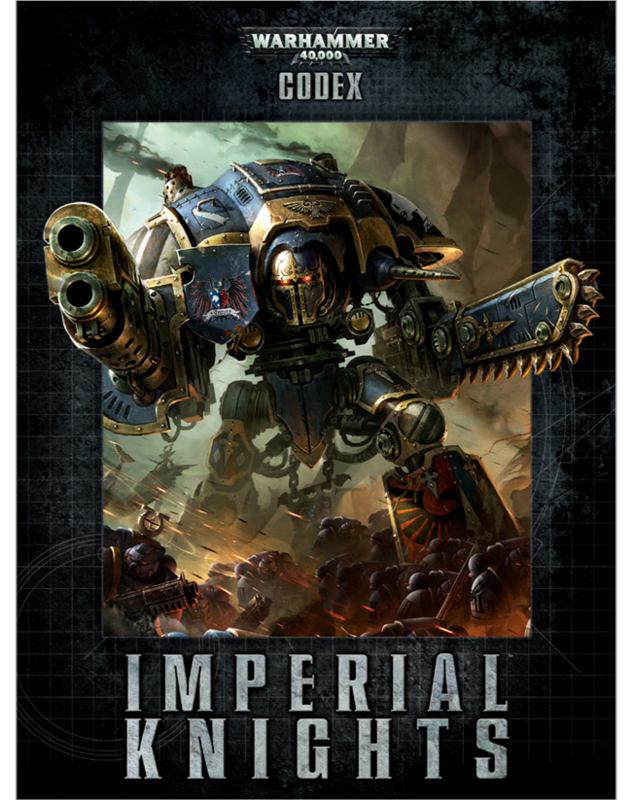 Sliding here into the middle of the mix is the newest army to the game: Imperial Knights. And let me just say, wow. These super heavy scoring choices synergize very very well with the Eldar. 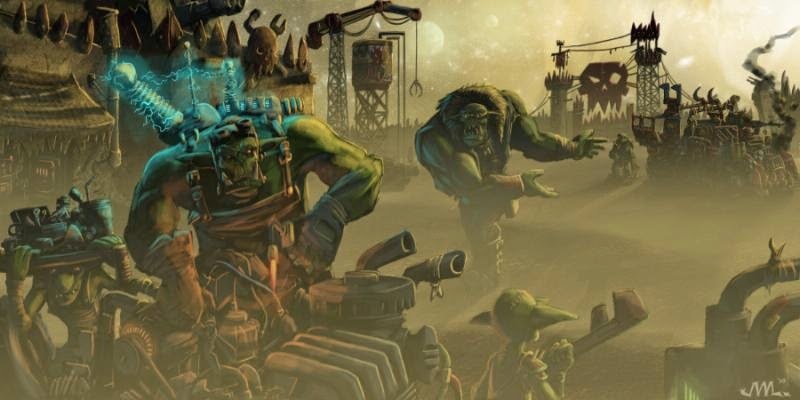 They help continue to provide a high volume of AV saturation, move such that they keep pace with the rest of your army, and offer low AP firepower capable of dealing with T4 multiwounders and hordes alike, all mated to Strength D CC attacks, in addition to stomps. This pairing is brutal and can really ruin your opponent's day. Next, we've got the Codex Astartes. These guys offer more than a few different options, but the biggest to consult is chapter tactics, as the folding in of Black Templar means we're competing with them directly for allies space. Not unlike Dark Eldar, the options exists to bring Imperial Fists to cope with enemy super heavy presence. Otherwise, White Scars offer a solid swap to your native jetbike troops. These options might be less interesting on the whole than the Crusader squad, but they're out there, and if you have Eldar already and are looking to start a Marine strikeforce, there's worse ways to go about it. The last of our power armor options has us visit Fenris and have we mentioned how awesome those guys still are? A Rune Priest to hang out with Long Fangs, a Wolf Lord with Fenresian Wolves or Thunderwolf Cavalry, and some Grey Hunters for CC troop screens. These guys make for killer allies, and should be considered absolutely as seriously as Templar or Blood Angels. Then we find ourselves at the end of the matrix, staring down our other available Brother in Arms, the Tau. Curiously, there's little of use to consider here. Certainly, Fire Warriors are markedly better than Guardians, and there's the standard "suit commander attached to riptide" thing, but past that, their skimmers are similar to your own, even if they don't offer as much dakka, and rail broadsides can offer some low AP fire to compliment your armywide rending. Don't get me wrong, the Tau do make for good allies, they just feel a little more bland compared to some of the other options listed. So, where does that leave us? For my money, I would highly suggest Knights and either Templar, Inquisition, Guard or Wolves (courtesy of the Knights and Inquisitorial detachments of course). Any of these help you play to the best your book has to offer, while addressing what few weaknesses you have. Of course, DEldar and Tau make solid choices in their own right, even if the "innovator" in me does feel that many play areas may be drowning in those options, hence my push for something a little more unorthodox. Needless to say, it's all just my perspective and opinion. Be sure to stay tuned, next time, we'll be trying to see who the psychic knights will work with. Labels: Allies, Eldar, Let's be Friends!